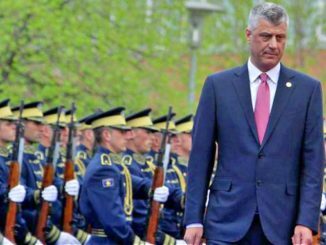 Prishtina, Kosovo | August 01 (Tirana Echo) – Kosovo’s President Hashim Thaçi has ruled out a recent Serbian proposal to negotiate a deal based on a possible partition of the new Balkan republic and the exhange of its northern part with Serbia’s southern Presevo Valley. Responding to Serbian President Aleksandar Vucic’s proposals last week over a possible border deal between the two neighboring countries in turn for recognizing Kosovo’s independence, Thaçi said the partition of the small country which declared independence 10 years ago, would be unacceptable. “I want to reassure citizens of Kosovo that no one can make Kosovo discuss or agree to partition,” – Thaçi said during a press conference. He added that both countries could agree on a mutual recognition of borders as well as a clause to correct the borderline, just as Kosovo recently did with Montenegro. 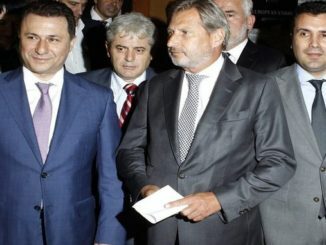 Last week, Serbian President Aleksandar Vucic suggested that the northern part of Kosovo, which is predominantly populated by ethnic Serbs, could be handed over to Serbia in exchange for the territory of the Presevo Valley in southern Serbia which is mainly populated by ethnic Albanians. “All Serbs know that they lost Kosovo, but I will try everything in my might to retrieve what I can, so that in the end it’s not a total defeat or total loss,” Vucic told Croatian news magazine Globus. 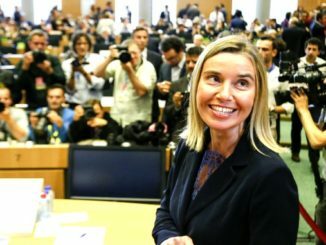 Belgrade and Prishtina are involved in ongoing EU mediated talks to sort out their differences, while Serbia is under pressure to recognize its former province as an independent country before it can consider joining the European Union. 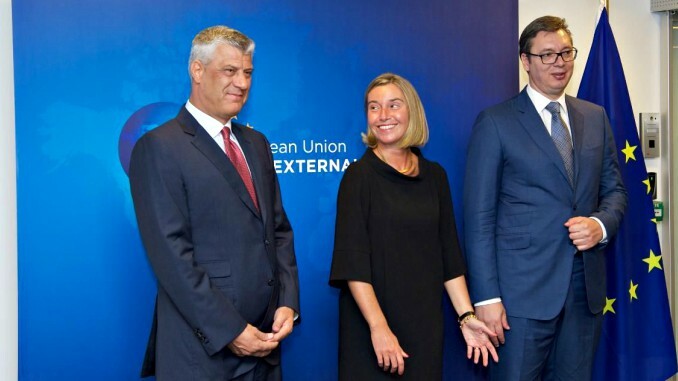 Earlier this month Vucic and Thaci met Frederica Mogherini, the EU High Representative for Foreign Affairs, as part of ongoing talks aimed at establishing a legally binding agreement between the two countries. Kosovo declared independence from Serbia in 1999 following a NATO led bombing campaign against the Milosevic regime which had forced the majority of ethnic Albanians to flee their homes to neighboring Macedonia and Albania. Serbian politicians are reluctant to publicly accept the independent Republic of Kosovo, claiming that Kosovo is the cradle of Serbian civilization, although behind the scenes they talk of a ‘fait accompli’. This is the first time both Presidents have publicly talked of a possible exchange of territories. So far, 117 countries have recognized Kosovo as an independent state while Russia strongly objects to a possible UN recognition of the young Balkan state. 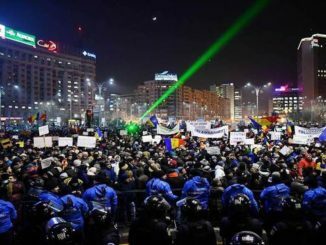 Five EU member states are yet to recognize Kosovo while the European Union recently recommended the liberalization of the visa regime for Kosovan citizens.